Top 5 Reasons Parties at Delta Force Paintball Are the Best! 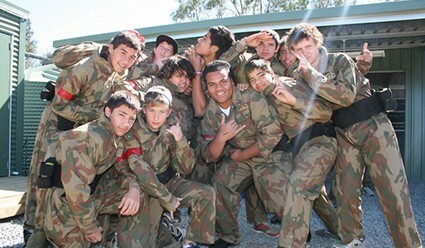 Top 5 reasons why paintball parties at Delta Force are the best! Organising a kid’s birthday party can be very stressful, with the pressure to ensure it’s engaging, affordable and is approved by all parents. 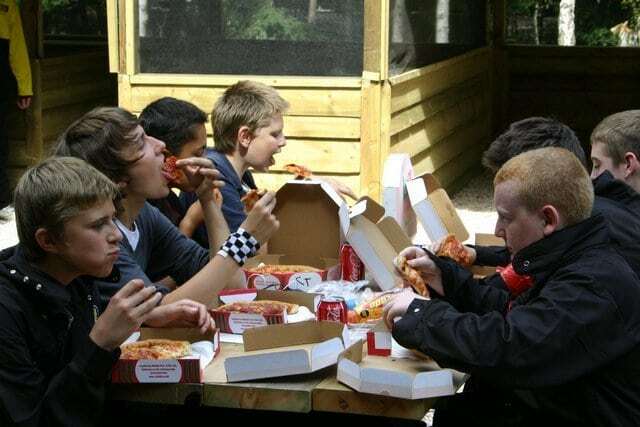 If you’re finding it difficult to think of an event where all children can take part, falls within your budget and keeps kids entertained, then look no further than Delta Force Paintball. When you book a kid’s paintball birthday party at Delta Force Paintball, we ensure a fun-filled day of action and adventure over the course of a full day for players aged 10+ years. Kid’s paintball parties at Delta Force Paintball are run to a specific timetable which takes the pressure off parents and organisers. Our full day events include 6 action-packed games in the morning and a lunch break half way though the day before a further 6 games in the afternoon. At the end of the day there is an awards ceremony where any outstanding acts of bravery are recognised. You can download our paintball itinerary to familiarise yourselves with the paintball day and sit back and relax knowing that the event is planned from start to finish for you. All national paintball venues are equipped with military-themed basecamps ensuring a comfortable base for your child’s birthday party. There are undercover and outdoor seating areas where you can position yourself for the day, flushing toilets and there are lockers available to rent where you can store additional paintballs and personal belongings. You can also provide your own birthday cake to present to the lucky birthday boy or girl at lunchtime and our paintball shop sells chocolates and sweets to help boost energy levels. We also provide the option to order a hot pizza to be delivered at lunchtime on the day of your event, saving you the additional effort of planning food for the day. National paintball centres feature a range of themed mission scenarios where kids can act out the scenes from their favourite action movie and be a hero for the day! 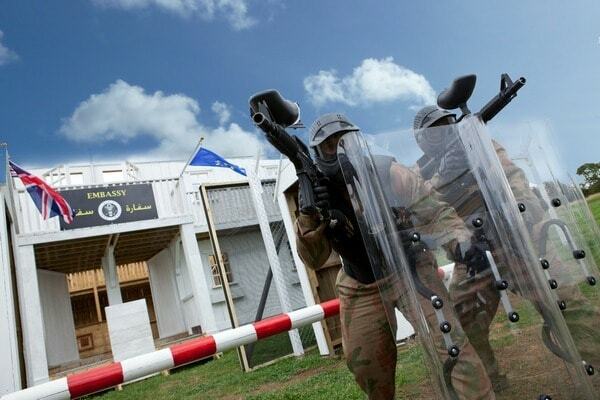 Our paintball game zones are second to none, and feature props such as tanks, two-storey castles, haunted graveyards, crashed helicopters and fortified bunkers – the ultimate setting for heroic rescue missions and epic teamwork to secure victory. Our friendly marshaling staff will help guide you through the days’ events and are on hand during the games to pass on key tip and tricks to help your team secure victory. Parents can relax in the knowledge that our staff will ensure a fun day out for all kids in a safe environment as the monitor games over the course of a full day. A healthy day out in the great outdoors! A day outside is the best exercise to keep kids healthy in mind and body. Nothing beats bonding with friends and a day full of laughter and adventure than a paintballing day out at Delta Force Paintball. We have extensive experience delivering successful kids paintball parties where teammates form stronger bonds and create long-lasting memories. Children aged 10+ years will have a blast as they navigate our exciting mission scenarios and the birthday boy or girl will surely be the most popular child in class after choosing Delta Force Paintball to host the special occasion! 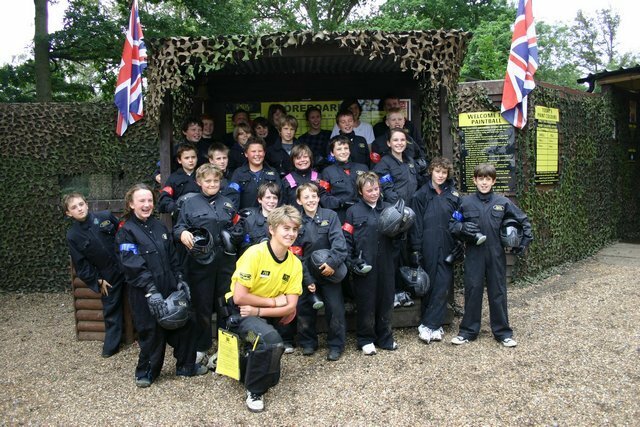 We have various paintball party packages available to suit all budgets representing great value for a full day experience. For more details on kids paintball parties or to check availability at a paintball centre near you, contact an event co-ordinator on 0203 869 9301www.paintballgames.co.uk/birthday-paintball-party. Epic new refurbishment at Nottingham Paintball! Delta Force Paintball © 1989-2019 Delta Force Paintball. Delta Force Paintball and related Delta Force trademarks property of Delta Force Paintball. All Rights Reserved.